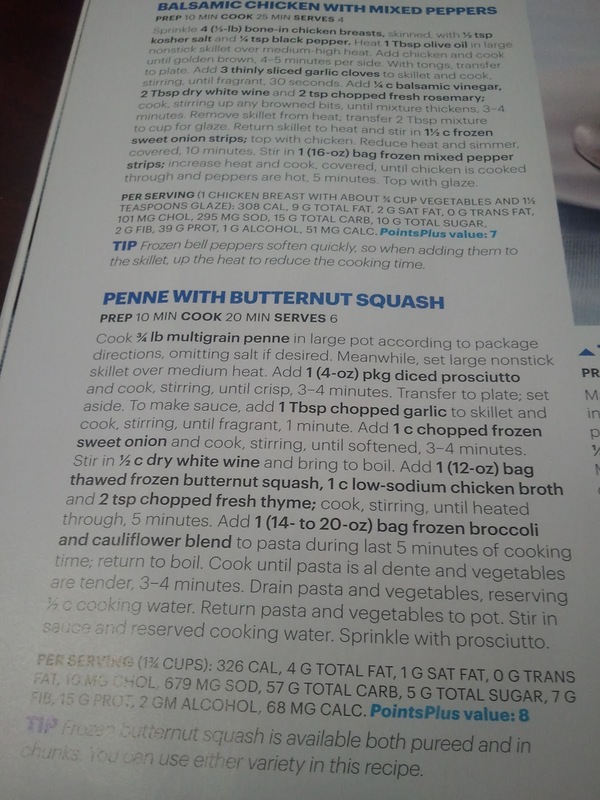 True story: if I cut recipes out of magazines, I lose them. I used to be the queen (in my mind) of the recipe binder, now i'm the queen (in my mind) of the recipe pin board on pinterest. 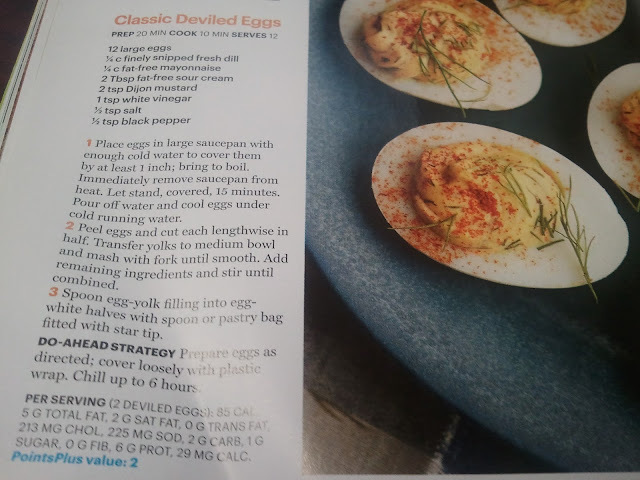 This is usually not an issue; most recipes i read in magazines can be found on-line. But sometimes, just sometimes, it's an issue. 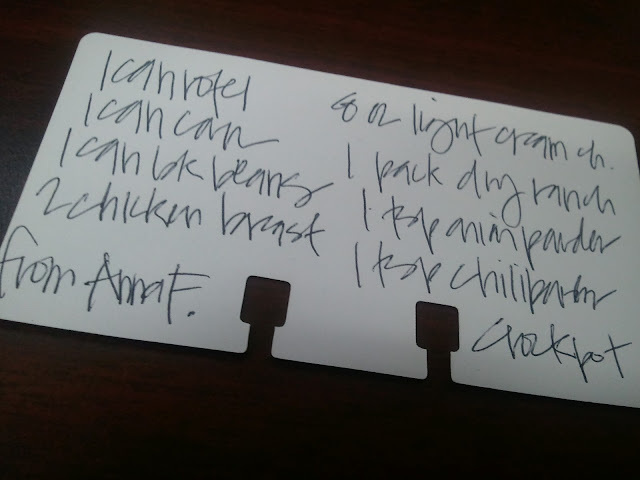 Mexican Chicken Soup, a recipe from Anna F. by way of Win D. Hey girl, hey! 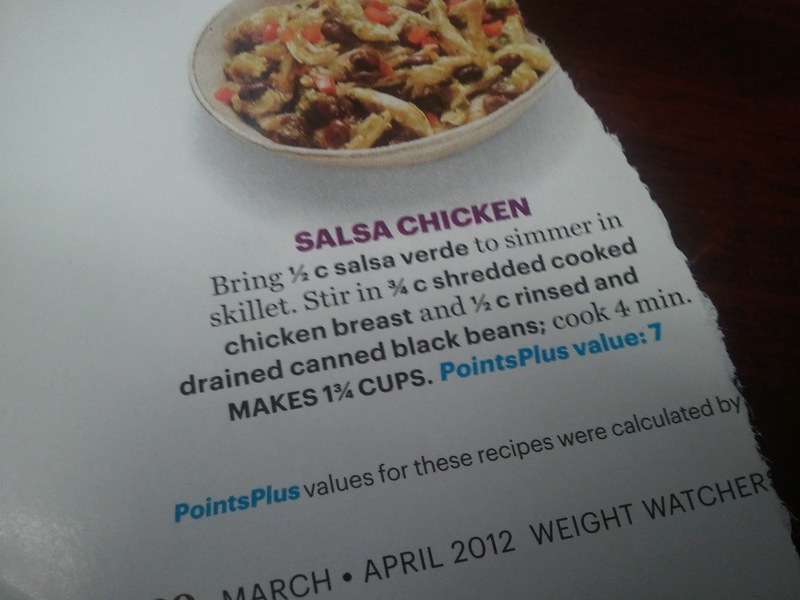 Salsa chicken via the March/April issue of WW Magazine. This one looks super easy and super tasty. Brandon will hate it, i'll do it on a night that he works. 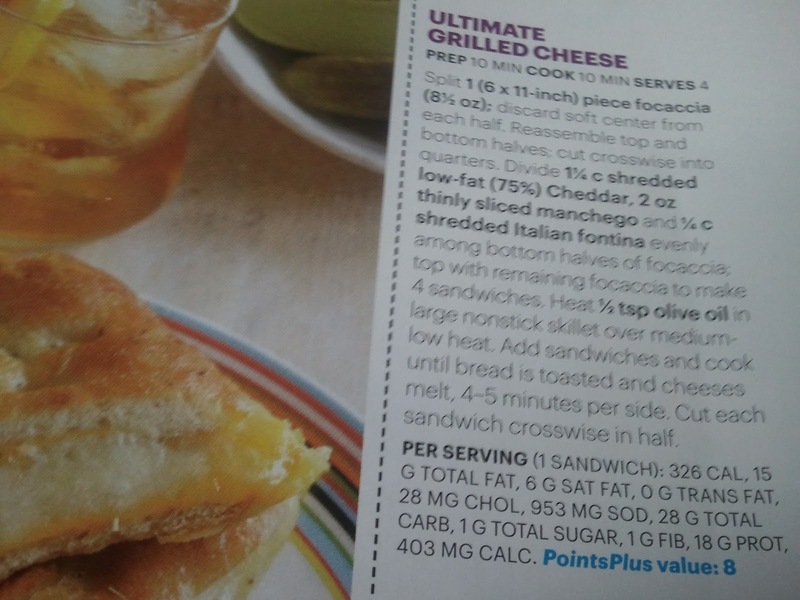 Ultimate grilled cheese via March/April issue of the WW mag. Who's got the manchego??!! 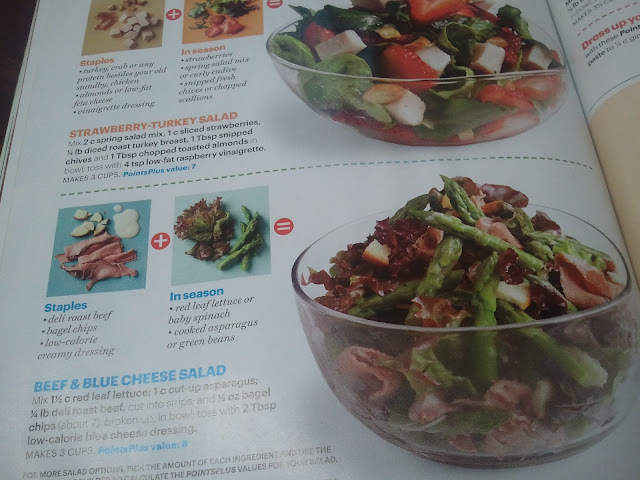 Salad suggestions from the March/April issue of the WW mag. The fact that I need a recipe for a salad is just another friendly reminder of my OCD / Right Brain tendencies. A pasta and a chicken recipe from the March/April issue of the WW mag. Both look promising. i'm going to need you to come over to my house soon so we can cook and laugh at things.